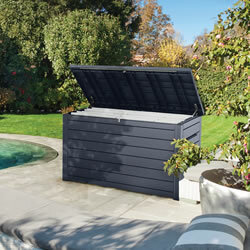 The Keter Ontario XXL Deck Box is a great place to store bulky garden items when not in use. 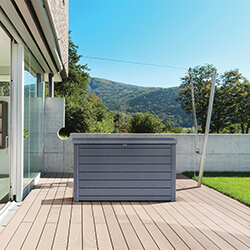 With a storage capacity of 870L, this jumbo deck box features a piston opening system for easy opening and closing of the lid, along with built in handles for more convenient transportation and repositioning. This product comes with a 2 years manufacturer's warranty. 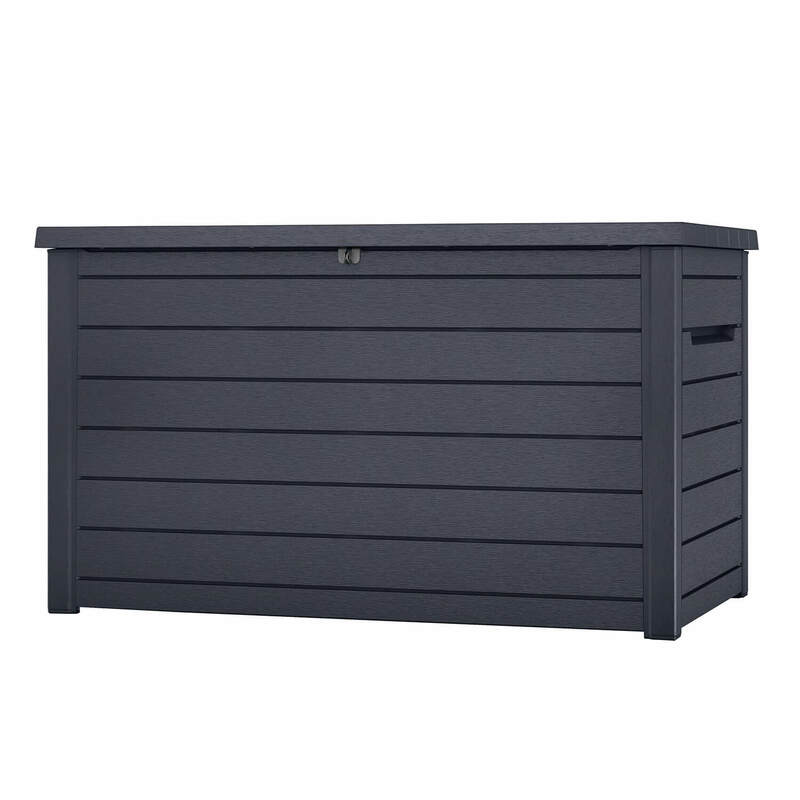 The perfect place to store bulky garden items, Keter's Ontario XXL Deck Box has a spacious 870L storage capacity. An ideal home for large outdoor furniture cushions, pool/hot tub accessories, tools or children's toys, this supersized deck box is great for keeping the garden clutter-free. 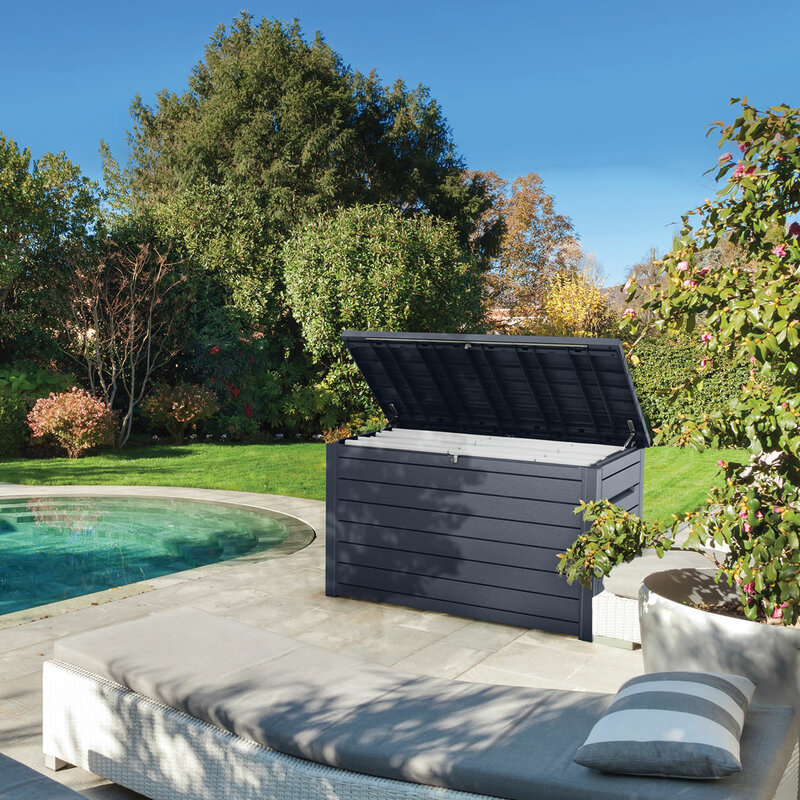 Made from durable, resistant resin, this storage box is weather proof and will keep the items stored inside it dry. As well as this, owing to the resin material that its outer has been made from, it will never rust, rot, dent or peel. 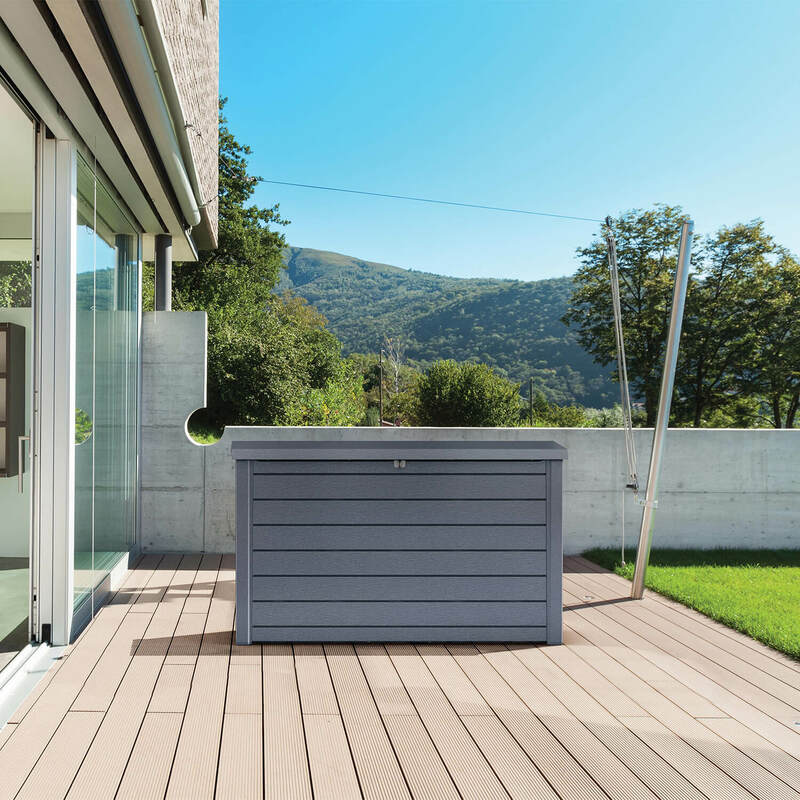 The resin has been given a wood-style look, which gives the box a more natural overall aesthetic. 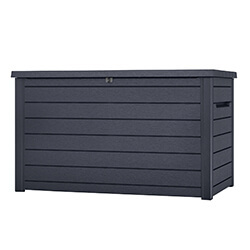 For added security, this deck box can be locked with a padlock (not included). Lost your manual, or just want to take a look? Detailed assembly instructions for this product can be found here.